The Raw Food Kitchen came about after a 5+ year battle with systemic candida which made me a sick, depressed, bloated insomniac shell of my former self. I couldn’t digest any type of food without being in pain and bloating up like a balloon. I had major sugar cravings to the point where I would get in the car at 10pm at night to drive to a service station just to buy a tub of ice cream. And I never even used to like ice cream! I was teary, angry, had constant bouts of tonsilitis, a face full of acne, flu’s and colds, shingles, and glandular fever. I was in a constant brain fog and had chronic sinus infections. My hormones were all out of whack and I never had a regular cycle, but had what felt like constant PMS. And never slept. I spent countless hours and hard earned dollars trying to find a cure from conventional medicine (big mistake!). In fact the pills and potions they were prescribing me were making me more unwell. I turned to holistic health treatments and began to see a naturopath, and although I began to make some improvements I would get to a certain stage and stay there. I still did not feel like my old self. I began to delve deeper and do some more research of my own. I did lots of detox treatments, tried lots of pro-biotics, vitamin C IV and B injections in the bum and went through some fantastic detox reactions. I started colonics and infra red saunas, and coffee enemas. You name it I was up for it! And then I discovered raw. Within 2 weeks I began to feel happier, healthier, more centred, I craved less junk – instead my body started to crave green juices! After a month of raw I had lost the weight I had never been able to lose while trying to get better, I was sleeping through the night and waking up with energy and feeling alive again! My balloon of a belly was going down too! After two months of eating raw I had cured myself of my health condition, all my niggling health conditions disappeared, I had my personailty back again and I could actually focus and get through the day without wanting to crawl into a corner somewhere. Now I have so much energy and a zest for life that I never thought I would get back ever! I feel so blessed and happy to have discovered this magical secret to eating! All the principles of raw make complete sense to me, eating as close to nature as possible, sourcing local produce where possible, a smaller carbon footprint, adding fermented foods, superfoods and sprouts to heal the gut, boost the immune system, increase nutritional intake, easing the digestive load on the body and receiving the life force of the plant food. Now I want to share the power of raw by teaching and inspiring others to heal their bodies, and live happier lives with a raw food lifestyle. And it doesn’t need to be overwhelming, living raw is very achievable. Let me introduce you to the raw food world, learn how to supercharge your health, lose weight, stop the cravings, have more energy and vitality, feel nourished, and change the way you think about the word “diet”. 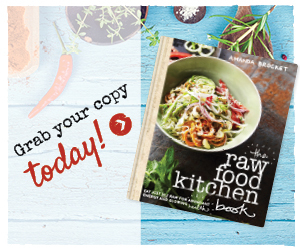 And best of all I teach you how to prepare delicious and nutritious raw recipes so that you can get started at home straight away! My mission and vision is to now help you create rawsome energy for life too! 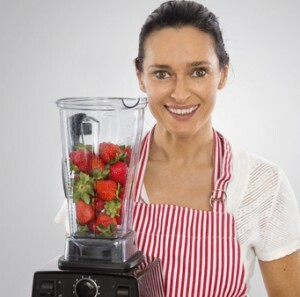 If you would like to join me in abundant health and wellness check out the latest raw food classes, recipes, eBooks or join our hugely popular Transformational Online Programs so you can get started on your journey to health and happiness today! Or feel free to contact me via the Contacts Page, I would love to hear from you! Amanda is a qualified Raw Food Chef, Teacher and Coach, and is a member of the International Association of Raw Food Coaches and Teachers.